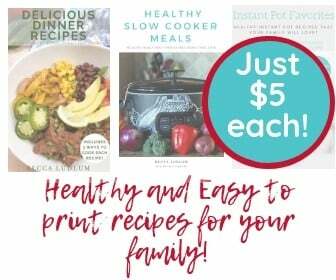 Making 21 Day Fix Instant Pot recipes is one of my favorite ways to save time and stay healthy. These pot in pot recipes are a great way to multitask and make great use of your Instant Pot! If you are not familiar with the Instant Pot jargon just yet, Pot in Pot refers to the method of cooking that all of these recipes use: putting a smaller pot or another container inside the IP inner pot. Like I mentioned above, pot in pot cooking is a great (and mess free) way to use your Instant Pot. When it comes to cooking for the 21 Day Fix I love making these kinds of recipes. Not only does everything come out in perfectly portioned increments, it also makes clean up a breeze. These are some of my favorite 21 Day Fix IP Pot in Pot recipes. They are delicious and easy to make. All of these recipes are linked below and have their counts listed. It’s easy to put together your whole day with these quick and easy recipes. Plan accordingly and you can prep for the whole week! It’s never a bad time for some cupcakes right? Make a batch of these and you can snack from them all week. Baking in the Instant Pot with the pot in pot method means your recipes come out moist and delicious! Don’t miss out on these mini meatloaf bombs. They’re so easy and delicious and of course they’re perfectly portioned to go along with your 21 Day Fix plan or even the 80 Day Obsession program! I know finding the best Instant Pot accessories can be tough to find, and since so many people asked where I got some of the accessories I use, I put together a post detailing all of my favorite Instant Pot accessories.